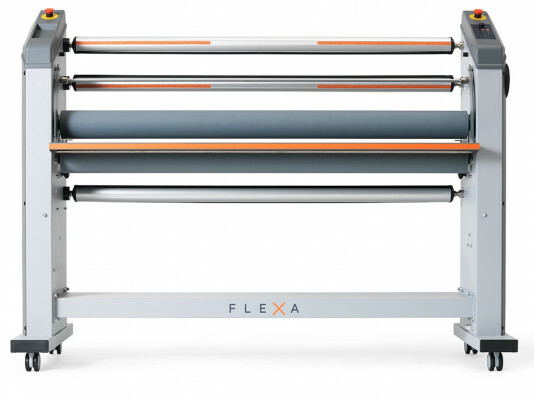 As part of our Italian-manufactured FLEXA laminator range, Flexa EasyLite is a four-shaft, heat-assisted top roller laminator that has been engineered to deliver a superb performance with lamination, mounting and encapsulation. 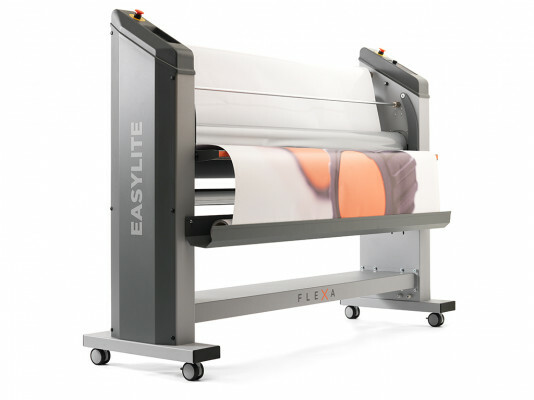 Designed for its ease-of-use and high-quality output, this is a superb entry-level piece of compact equipment for small and medium-sized print and finishing companies, and a customer-focused feature that we are really impressed with is that the Flexa EasyLite can be reconfigured and upgraded to the more versatile 5-shaft system as your business grows and diversifies. In essence, it is a cost-effective, high-quality, stunningly efficient piece of equipment. 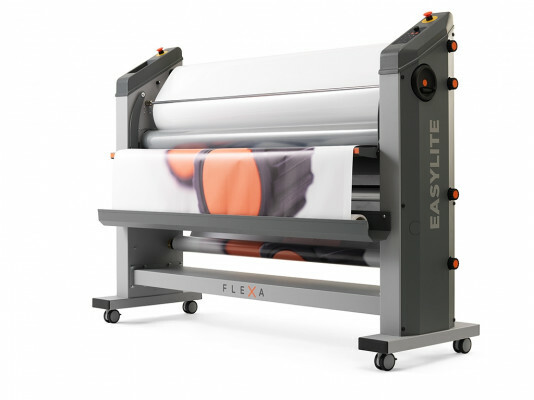 It can load material in seconds, minimise ‘silvering’, mount images on panels, and even apply double-sided adhesive films and application tapes. Flexa EasyLite has compact dimensions and user-friendly control panels and is suitable for everything from rigid and flexible indoor displays, roll-ups and pop-ups, outdoor signage to floor graphics, backlit displays and car wraps! Quite the powerful little machine and a very worthwhile investment all round! Our technical team here at Papergraphics are FLEXA experts and are happy to discuss the features and benefits of the Flexa EasyLite in greater detail or to arrange a personal demonstration for you to see it in action. Just give us a call. High-performing heat-assisted top roller laminator for self-adhesive materials. It allows to laminate, mount and encapsulate. Designed to be durable and robust for excellent and high-quality finishing results.